Premium Bus Service 783 is a Premium Bus Service which operates daily between Changi Airport and one-North MRT Station. 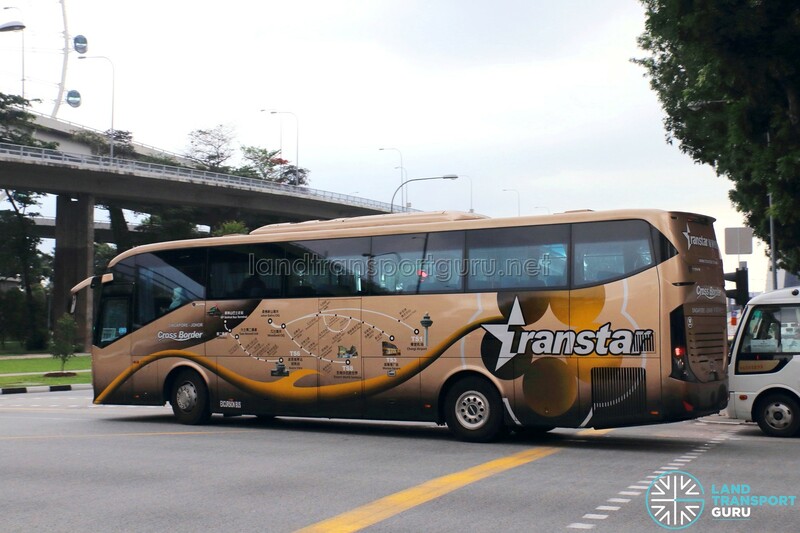 It is operated by Transtar Travel using their cross-border coaches, which interline to Transtar Cross-Border Bus Service TS6 between Buona Vista and Gelang Patah. 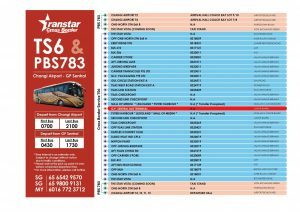 Note: The route extension for Premium 783 between one-North MRT Station & Buona Vista (The Star Vista) is listed as “Coming Soon”. 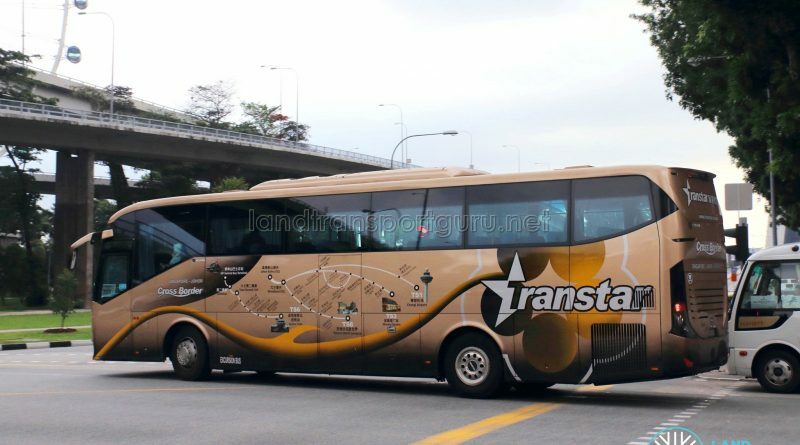 Premium Bus 783 by Transtar Travel operates on a daily basis using Transtar Cross-Border Coaches. 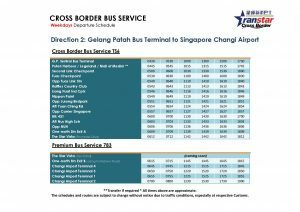 These buses operate as Premium 783 between Changi Airport and one-North MRT Station, and subsequently on Transtar Cross-Border Bus Service TS6 between Buona Vista (The Star Vista) and Gelang Patah Sentral via one-North MRT Station. 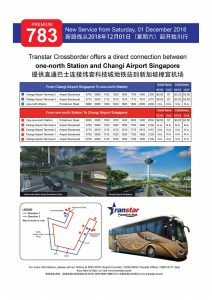 Transtar Travel initially had plans to run a cross-border direct service between Gelang Patah Sentral and Changi Airport under Transtar Cross-Border Bus Service TS6A, before being split into Premium 783 & TS6. 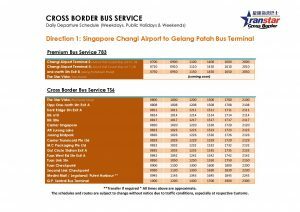 Is it possible for me to take this bus 783 from Changi Airport and alight at e.g. Jurong Bird Park (this bus stop is part of TS6)? What will the fare be?